There are plenty of worthwhile ways to blow $800 but for most, doing so on a movie box set isn’t one of them. Find a dedicated enough fan of a particular franchise, however, and logic (usually) goes out the window. Such is the case with the new Middle Earth Ultimate Collector’s Edition that’s currently up for pre-order on Amazon (it’s an Amazon exclusive, we’re told) for a cool $719.99, down from the “List Price” of $800. So, what exactly do you get for parting ways with more than seven Benjamins? Not enough, according to many disgruntled fans. 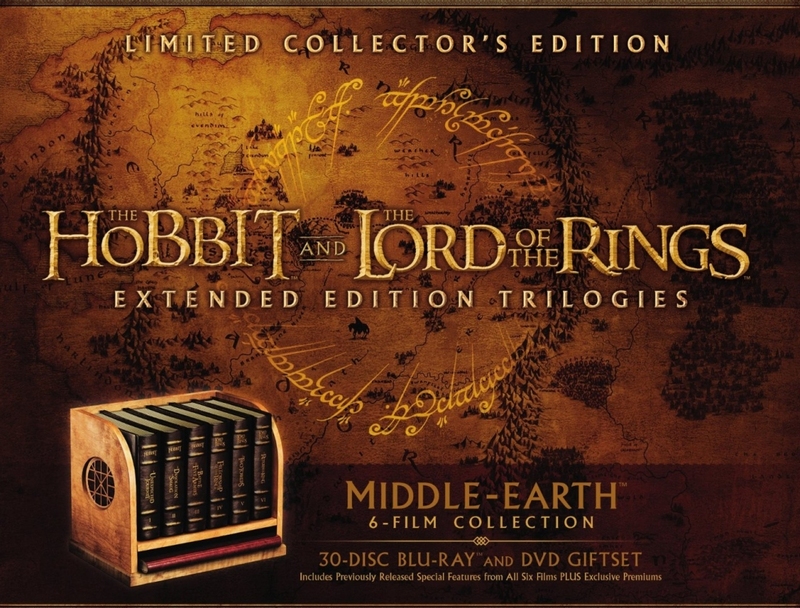 The box set includes 30 Blu-ray discs featuring all six Middle Earth films in their extended forms which come in faux leather books and a collectible Hobbit-style wood shelf. The collection is also said to include all previously released bonus content from both the theatrical and extended editions as well as a 100-page sketch book with original film sketches and new artwork, maps and more. Like most things labeled Collector’s Edition, this is more about presentation than actual content and that has a lot of people very upset. As of writing, the box set has 145 reviews with an average star rating of 1.5 (ouch). Aside from the high price, diehards are apparently ticked at Warner Bros. for not including content that director Peter Jackson has teased for over a decade. Even some of the 5-star reviews are troll jobs, taking issue with the questionable quality of the wood shelf. The Middle Earth Ultimate Collector’s Edition box set launches October 4 (or November 1 according to the above video preview). If Amazon reviews are any indication, it will be bought by nobody.